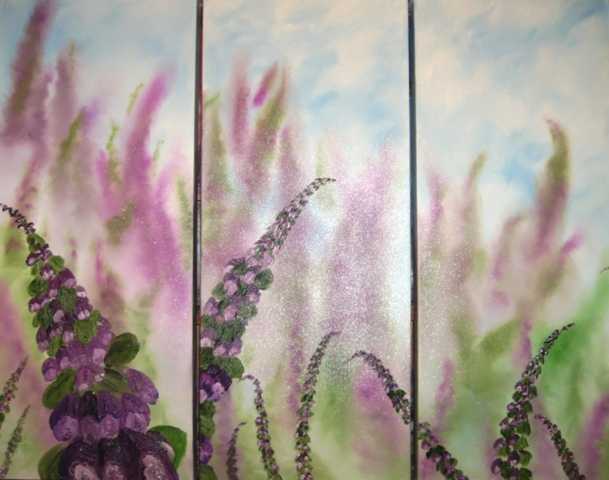 This triptych of deep edge canvas has a lovely scene of foxgloves. I have used high quality oils to create this artwork..The painting continues around the sides of each canvas. NOW REDUCED BY £180--A REAL BARGAIN!! !